If you’re visiting Iceland and you are a Game of Thrones fan, then you have a treat in store! Many of the fantasy locations for HBO’s epic TV series were actually filmed in Iceland – in particular the scenes north of the wall featuring snow and ice. In this post, we are going to go through some of our favourite Game of Thrones filming locations in Iceland. We’ll give you everything you need to know so you’ll know how to find and get to each location, as well and a quick overview of which scenes where filmed at each location. Note, this post does contain spoilers for Game of Thrones right up to Season 8 of the show, so please only read this if you’ve seen the show, or are not worried about key plot points being revealed! Where was Game of Thrones Filmed? Which Seasons of Game of Thrones were filmed in Iceland? How Hard is it to Get to the GoT Filming Locations in Iceland? The Game of Thrones TV show has filmed in multiple real world locations around the world, including Iceland, the British Isles, Malta, Spain, Croatia and Italy. In fact, over 40 real world locations have been used in the show. Production of the show is headquartered at the Titanic Studios in Belfast Northern Ireland, which is right next to the Titanic Museum. Northern Ireland filming locations are also often used in the show, such as the famous Dark Hedges, which are popular locations for fans of the show to visit. Girona in Spain is another well known filming location. From season 2 of the show onwards, Iceland was the main filming location for the scenes set north of the wall, and scenery from Iceland appears in every GoT season after season 1. Whilst season 1 does feature many scenes north of the wall, these were not filmed in Iceland and instead used artificial snow at a quarry in Northern Ireland. 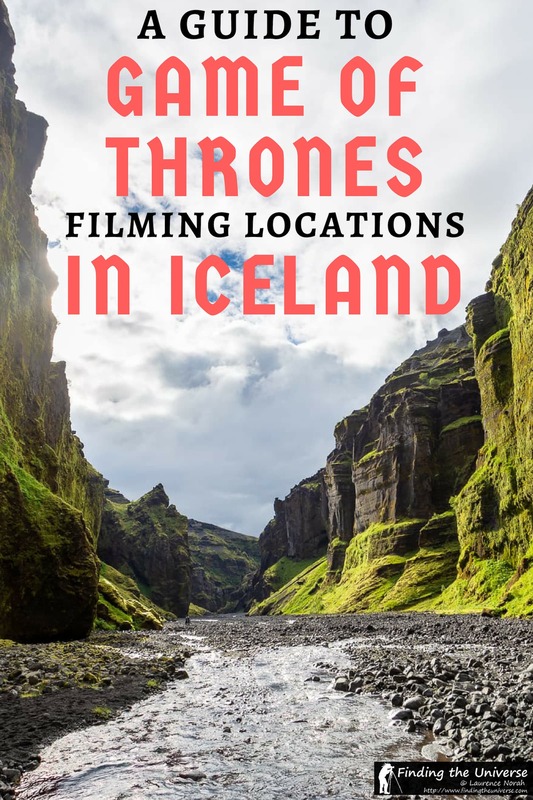 As well as scenes north of the wall, a number of other Seven Kingdoms locations were also filmed in Iceland, which will be covered in this guide. For many of the locations in this guide, access is relatively easy as the locations are just off the main ring road, and are in popular, well visited spots. However, a number of the locations are not so accessible – particularly those filmed high on glaciers, or that can only be accessed by “F” roads, which are closed in winter, and need a 4×4 to access. For each location, we’ll give you an idea of how hard it is to access and whether or not you need a special vehicle. We’re going to order these Game of Thrones filming locations running in an anti-clockwise direction, starting from Reykjavik. If you’re visiting them as part of a self-drive trip in Iceland, this will let you line up the locations with our Iceland Ring Road itinerary, which runs in the same direction. If you are doing a tour such as this one, then you’ll also likely make stops in a similar order. It should be noted that some of the places may look very different than in the show when you take away the sets, characters, and any digital enhancements. So some may not be instantly recognizable. It’s also worth bearing in mind that the locations will look quite different depending on the time of year you visit. For the scenes set “north of the wall”, these were shot in winter, meaning the landscapes were very snowy. The scenes set south of the wall were generally shot over warmer periods, meaning the landscapes were green. So you might have to use your imagination a bit, if you visit at different times of year. Also note some of the sites are inaccessible in the winter (unless you are on a special tour) so we’d recommend visiting in summer to see as many as possible. Hengilssvæðið, or Hengill mountain, is a large volcanic mountain to the south of Thingvellir, and it is relatively close to Reykjavik. 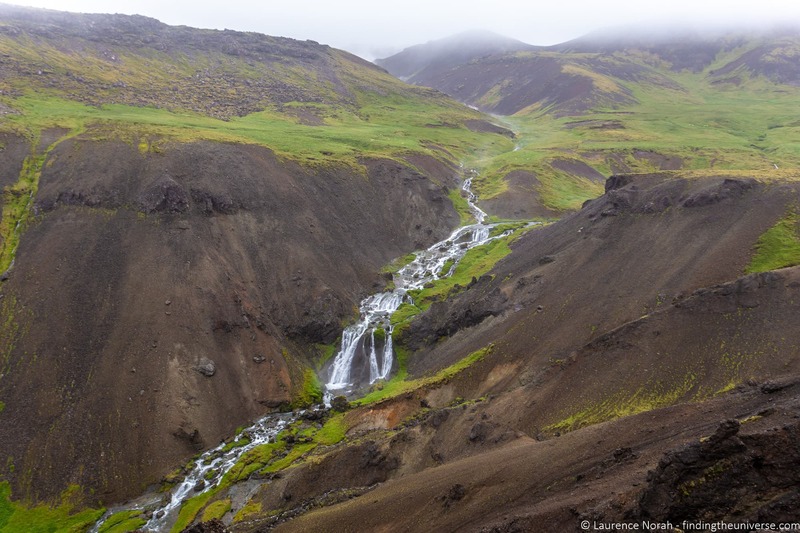 It’s a popular hiking spot (although access can be difficult depending on the time of year and snow on the roads), and you can even hike all the way between Hengill and Reykjadalur valley. The Hengill area was used in episode 10 of Season 4 in Game of Thrones. It’s where Brienne of Tarr and the Hound face off, and following this fight, this is where Arya and the Hound part ways. The fight was actually filmed at a number of locations around this area, so there no single exact location, but certainly if you visit Hengil mountain after watching this fight scene, the scenery will be very familiar! We can also recommend visiting Reykjadalur, as there’s a hot spring fed river here which is excellent for bathing in. Þórufoss, or Thorufoss, is one of our favourite waterfalls in Iceland. It’s just a short drive from the Iceland’s famous golden circle, but the gravel nature of the road puts many off. There are also limited signs directing you here. Still, if you want to imagine a fearsome dragon swooping across a landscape and roasting most of a herd of goats, this is the place to come. That’s exactly what happened here in Season 4, when Drogon got a bit peckish, and ate a goat, much to the goat herder’s dismay. Dragons eh! 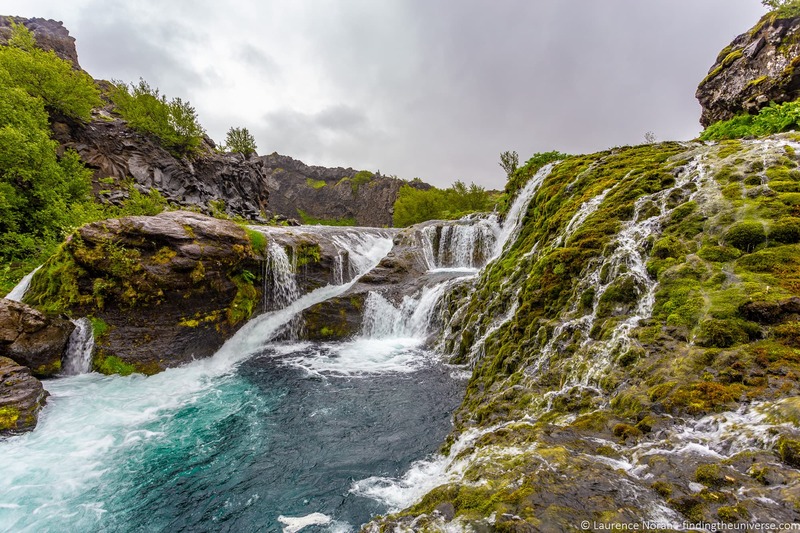 Þórufoss is easy to find, just take road 48 off the Golden Circle for around 5 minutes drive. There’s a small parking area here. Thingvellir National Park was used for a number of scenes in Game of Thrones. So this park is definitely worth a thorough wander, not only for the GoT connection but also for its importance in terms of history, culture, and geology. 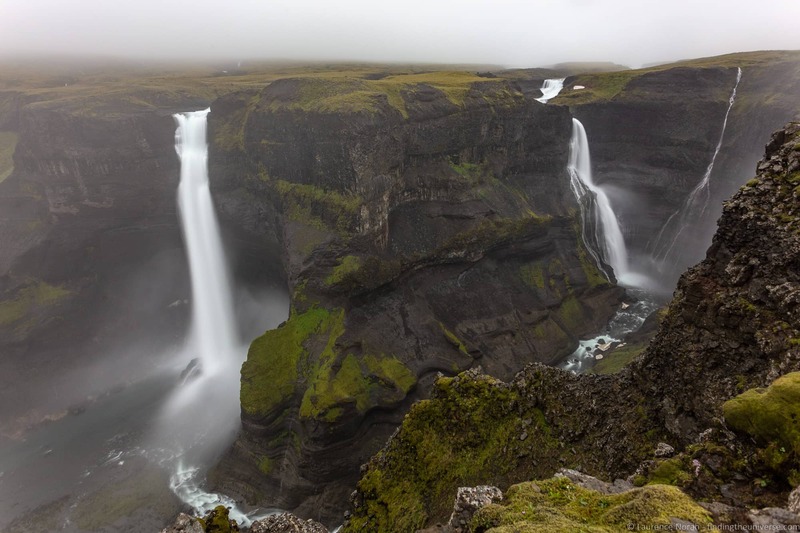 One of the most recognizable GoT filming locations is the canyon near Oxararfoss waterfall, which was used as the location of the Bloody Gate. This is the castle which guards the western edge of the Vale of Arryn, on the road to the Eyrie. This location appeared a couple of times in Season 4. The first was when Littlefinger and Sansa travel to the Eyrie, and then later on in the season when Arya and the Hound arrive to discover that Arya’s aunt (the reason she made the long trek in the first place) has recently died. The canyon is easy to find, it’s the path from the parking area down to Oxararfoss waterfall. Thingvellir, and the area around this canyon, was also used for a scene featuring the wildlings Ygritte and Tormund, where they meet the cannibal Thenn Styr, and have a rather gruesome meal. There’s lots to do in Thingvellir beyond Game of Thrones sites. It’s a UNESCO world heritage site, with both cultural and geographical features that make it interesting. 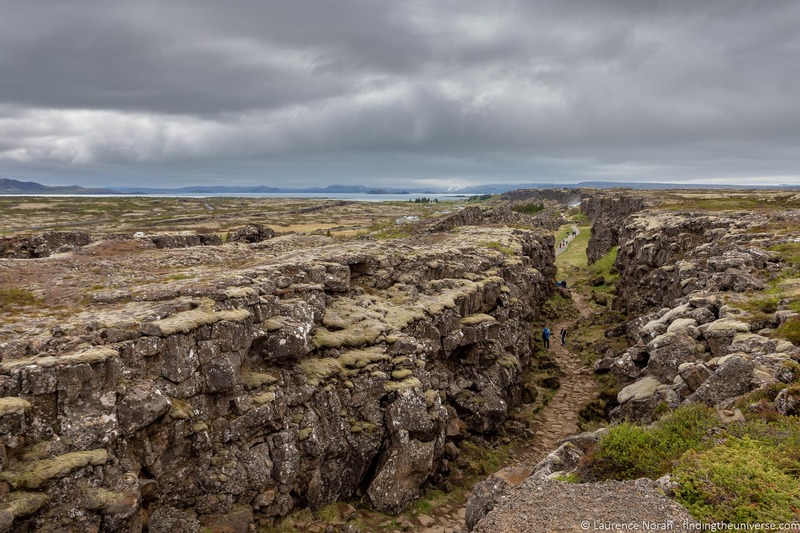 It was the site of Iceland’s first parliament, and is also where the European and North-American tectonic plates are moving apart from each other. A fun experience here is to take a snorkelling tour in the fissures of the tectonic cracks. The water is fantastically clear, and they kit you out with a dry suit and all the equipment you need so you can just float along. Here’s a link to a snorkelling tour to check out, and here’s another one. Þjórsárdalur (or Thjorsardalur) Valley, is a large area of Iceland, home to a number of highlights, including the stunning Haifoss waterfall, one of the highest waterfalls in Iceland. It’s also where you’ll find the Þjórsárdals hot springs, get great views of Hekla volcano (on a clear day anyway! ), and be able to explore the Great Þjórsá Lava, Iceland’s largest lava flow. However, for those interested in GoT filming locations in Iceland, the main draw in the Þjórsárdalur Valley is Þjóðveldisbærinn Stöng. This is a reproduction of a viking era longhouse and farm, and it was used as Olly’s village in Season 4 Episode 3 of the show. In the episode a group of wildlings, including Ygritte and Tormund, overrun the village and kill everyone, with Olly being the only survivor. The settlement village recreation is open every day from the beginning of June through to the end of August, with a small fee for entry. It’s just off route 32, which is a paved road and so is easy to get to if driving yourself. It’s also included on a number of Game of Thrones tours from Reykjavik, including this one. Another filming location in Thjorsardalur Valley is Gjáin, which we enjoyed visiting so much that I decided to give it its own entry. Whilst the term “hidden gem” is challenging to apply to most places in Iceland given the volume of visitors that the country receives, we’d say that the oasis-like small valley of Gjáin is as close to a hidden gem as anywhere in the south of the country gets. This is even more impressive given that it was a Game of Thrones filming location! In season 4, episode 5, Arya and the Hound take a break from their lengthy hike at Gjáin, and continue the argument they are having. Arya also takes the opportunity to train with her sword. Gjáin is found in the wider Þjórsárdalur Valley, and the location is only accessible down a four wheel drive only F-road, which will only be open in the summer months. If you do make the effort, or better yet take a tour that comes here, you will be rewarded with a lush valley, surrounded on all sides by a desert like lava covered wilderness. There are waterfalls pouring across rocks, streams, rivulets, and all sorts of little paths to explore. Despite it pouring with rain on the day we visited, it’s still one of my more favourite locations in the country! The tour I took that visited here was this one, however it’s an optional stop that isn’t listed in the itinerary, so do check with the tour operator before booking to be sure. This two day tour also visits this location. After their long trek from Eastwatch-by-the-sea, Jon Snow and his team manage to capture a wight in episode six of season 7. This wight is captured in Stakkholtsgjá Canyon, a gorgeous 100 metre deep canyon that runs through the Þórsmörk region of Iceland. They are also seen trekking across a snow covered Þórsmörk in this episode, which means “Valley of Thor”. Note that some sites mention that Fjaðrárgljúfur Canyon was used for these scenes, but we can find no evidence that this is the case. However, for the dragon flight scene in the first episode of Season 8, Fjaðrárgljúfur Canyon was used. This location is a bit out of the way, requiring a fairly long drive down a tricky four wheel drive only road, that has around ten river crossings to contend with. Suffice to say, this is not to be attempted in a standard car! If you have any concerns over damage to your rental – remember that no car insurance in Iceland covers damage caused by river crossings. A better option if you want to visit and don’t want to drive is to either take the dedicated bus to Þórsmörk, or take a tour which includes Stakkholtsgjá like this. Skogafoss is one of Iceland’s most famous and visited waterfalls, found on the south coast of the country just off the ring road. This waterfall appears in Game of Thrones in Season 8. When Jon and Daenerys ride the dragons in the first episode of season 8, after flying across wintery landscapes and through a gorge, they land next to a stunning set of multi-tiered ice coated waterfalls. 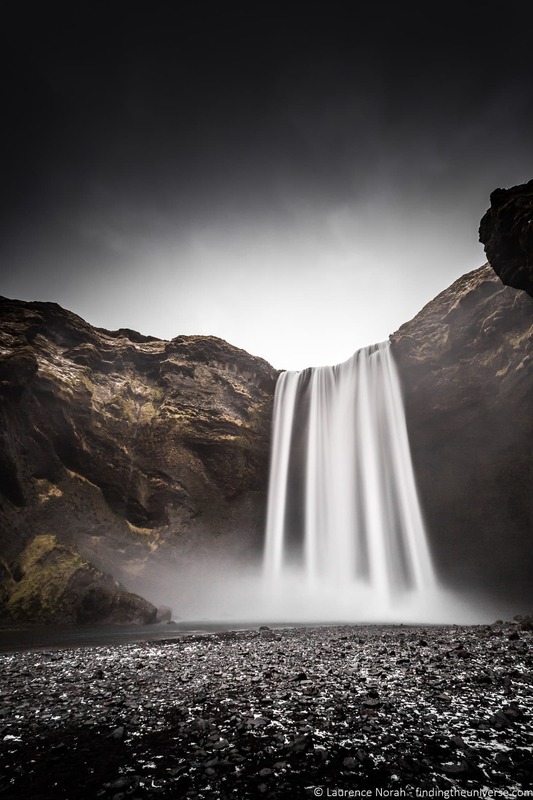 Skogafoss is used as the basis for the central waterfall in this shot. However, the waterfalls above have been added digitally, as have some of the rock formations. 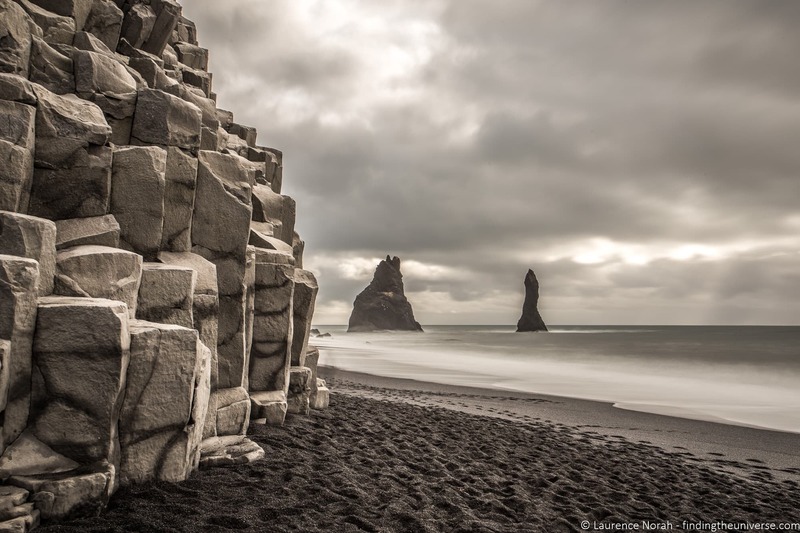 Reynisfjara, the stunning basalt column fringed black sand beach near the town of Vik is used in Game of Thrones season 7 as the filming location for Eastwatch-by-the-sea. Eastwatch-by-the-sea is where the wall across the north of Westeros ends, and this is where Jon Snow and his hardy band of wight hunters land their boat before venturing north. Reynisfjara is one of the most popular black sand beaches to visit in Iceland, and is just near the town of Vik on the south coast of Iceland, a short drive off the ring road. There’s a large parking area here, and it’s just a short walk from the parking area to the beach. Just be aware that the waves here can be dangerous, so be careful when walking on the beach as they can appear very suddenly. Just north of the town of Vik on Iceland’s south coast, the Höfðabrekkuheiði hiking area is used to depict the wintry landscapes of Westeros north of the wall. In particular the Frostfang mountain range is shot here. In addition, the Mýrdalsjökull glacier appears as the Fist of the First Men, which is the location where Sam finds the dragon glass in season 2. Höfðabrekkuheiði hiking area can be accessed from Vik with a half hour drive. Head east from Vik on Iceland’s ring road for around 5km, then turn left onto Kerlingardalsvegur. This road will bring you to the hiking area, and there’s also a campsite here, Þakgil. This offers camping pitches and basic bunk-bed cabins, and makes for a great base to explore this area if you have the right equipment. Mýrdalsjökull glacier can be visited on a variety of tours, including this snowmobiling tour and this ice cave tour. Note that it’s not advised to try and access a glacier yourself as they can be dangerous. Fjaðrárgljúfur Canyon is an incredible (and hard to pronounce) canyon on the south coast of Iceland. 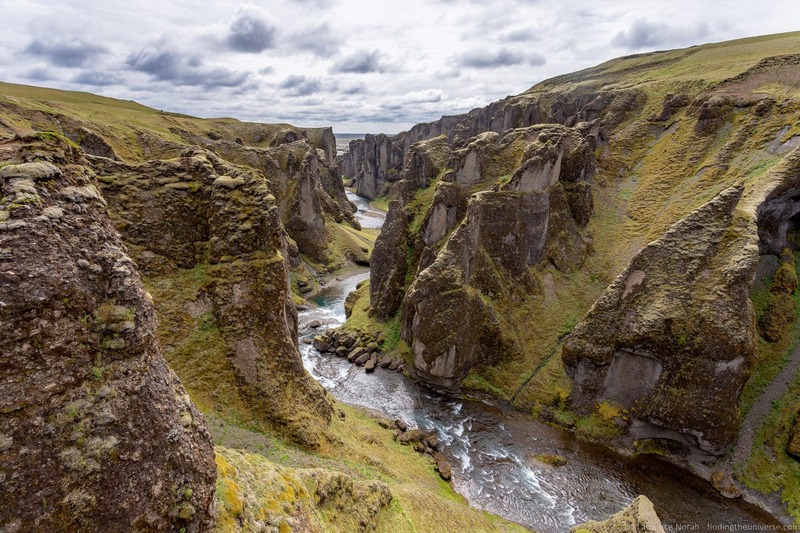 Fjaðrárgljúfur Canyon was used as the location for the dragon flight scene in the first episode of Season 8, when Jon and Daenerys fly the dragons together for the first time. After flying down the canyon they land at Skogafoss, which isn’t too far away! 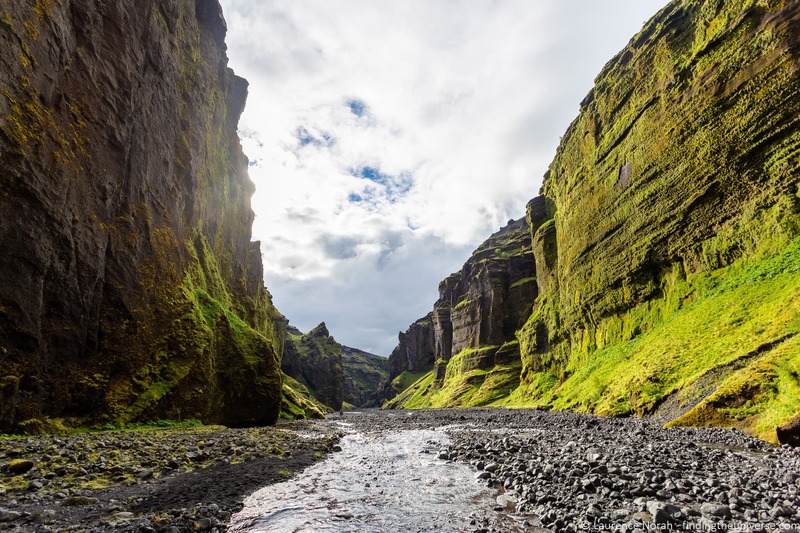 Note that Fjaðrárgljúfur Canyon is often closed in order to try and protect the delicate wildlife here from damage due to too many visitors. If it is open when you visit, please stay to the marked paths to protect it. The Svínafellsjökull glacier tongue is a very popular glacier for visitors to Iceland to stop by and look at, as it’s just off Iceland’s Ring Road (Route 1). In Game of Thrones season 2, this was where Jon Snow and the Night Watch captured Ygritte, at a filming location very close to the road. In Season 7 this area was also used to depict the awesome battle between Jon Snow’s group and the army of the dead, culminating in the capture of a dragon by the Night King. The glacier is easy to see – it’s a short drive off the Ring Road to the parking area, and then there’s a short walking trail to a viewing area. 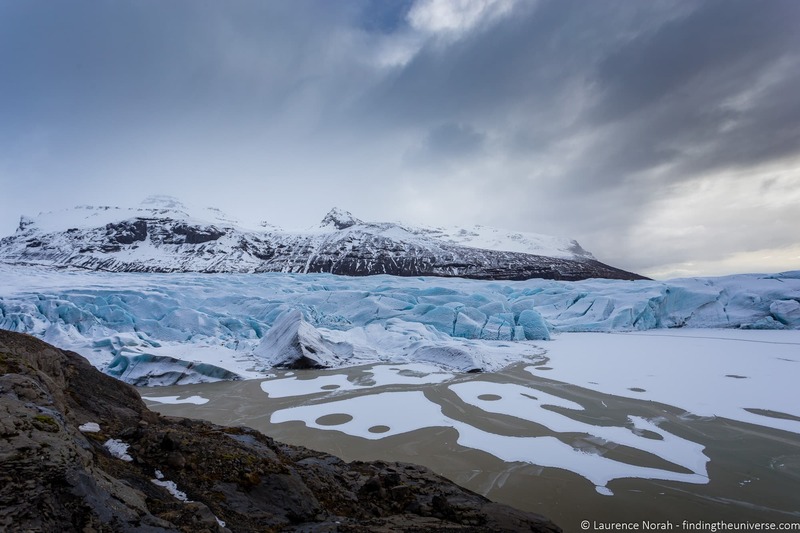 You should never try hiking on a glacier yourself, as they can be very dangerous places, unless you have the necessary expertise and equipment. 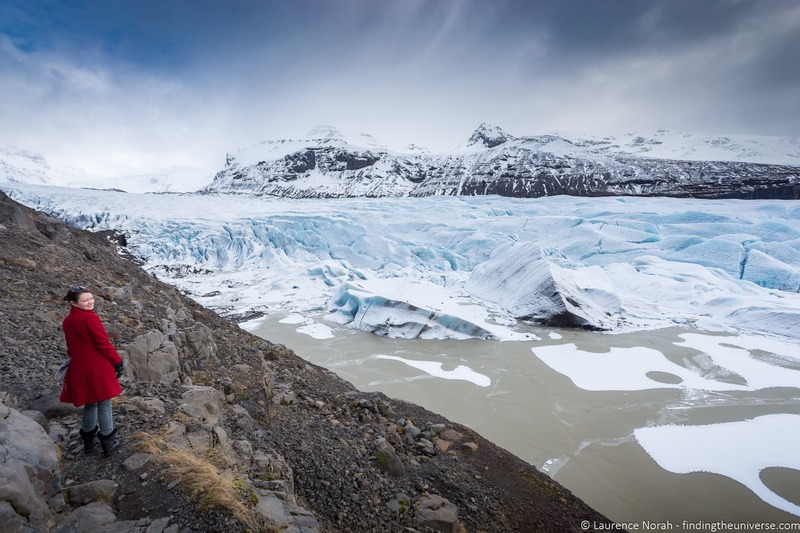 If you want to do climb on the Svínafellsjökull glacier, you’ll want to take a glacier hike tour like this. 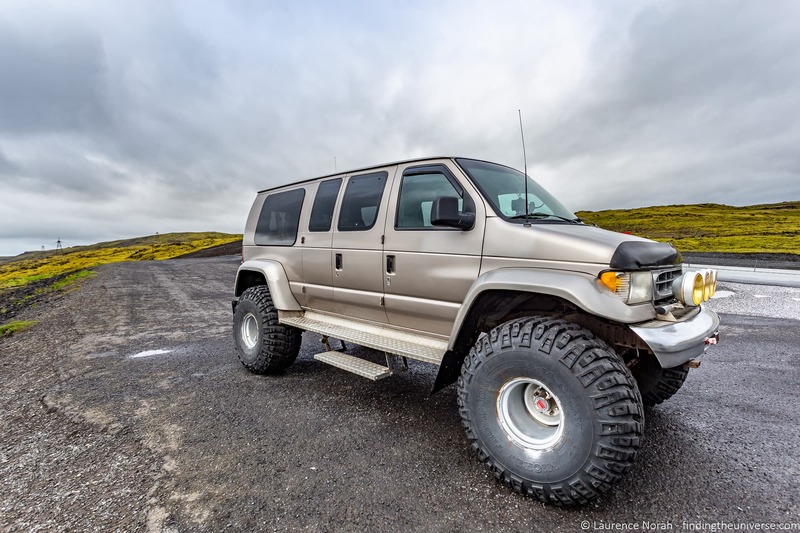 It’s also visited on this multi-day super jeep tour of Iceland. 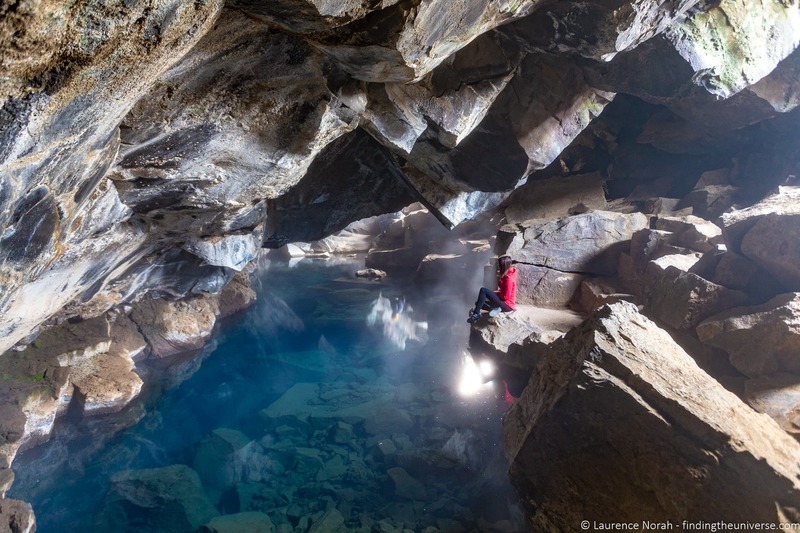 Grjótagjá is a volcanically formed cave in the Lake Myvatn region of Iceland that is home to a pool of geothermally heated water. There was a time when this was a great place to bathe, but a change in the temperature following volcanic activity means it’s now too hot to do that, and when we visited there were warning signs up about how hot the water was. In Game of Thrones, Grjótagjá serves as the location where Jon Snow and Ygritte consummated their relationship. Only a small part of the scene was actually filmed here, as the steam from the pool kept fogging up the cameras – a problem we noticed when taking our pictures here too! Note that Grjótagjá is on private land, and access to the cave varies as there have been issues with vandalism in the past, meaning it is sometimes closed. It was open when we visited but as of June 2018, access has been closed and a gate has been put up blocking entrance to the cave. However, if the landowner reopens it to the public, then it’s easy to find, with a small parking area right next to the cave. 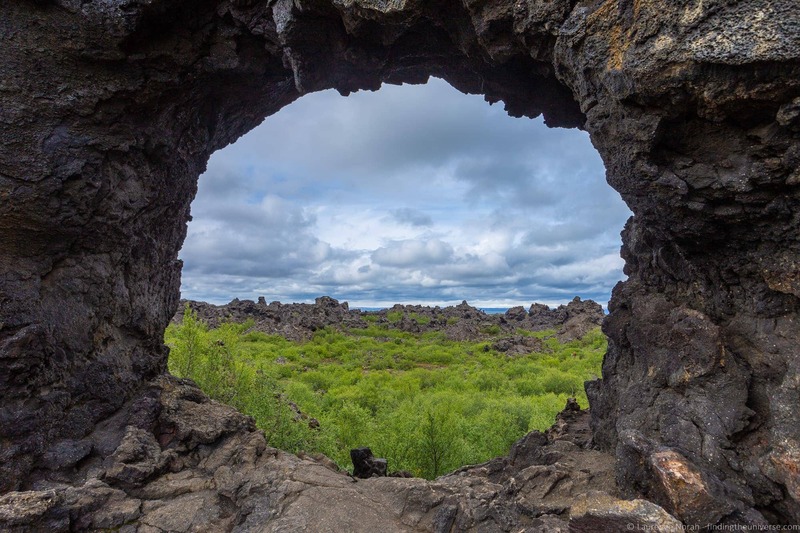 A short drive from Grjótagjá is the wonderful lava landscape of Dimmuborgir, home to all sorts of fantastical lava formations, including caves and rings. Dimmuborgir translates literally as Dark Fortress, which sounds like the sort of thing you’d find in Game of Thrones! Dimmuborgir featured in season 3 of Game of Thrones, as Mance Rayder’s camp of the free folk – the people also known as the Wildlings. This was filmed during Iceland’s winter, when there was lots of snow on the ground and temperatures were as low as -11C, making for challenging conditions. Dimmuborgir also served as the filming location where Sam Tarly and Lord Commander Mormont were attacked by White Walker, and where Ygritte steals Jon Snow’s sword in Season 3 episode 5. 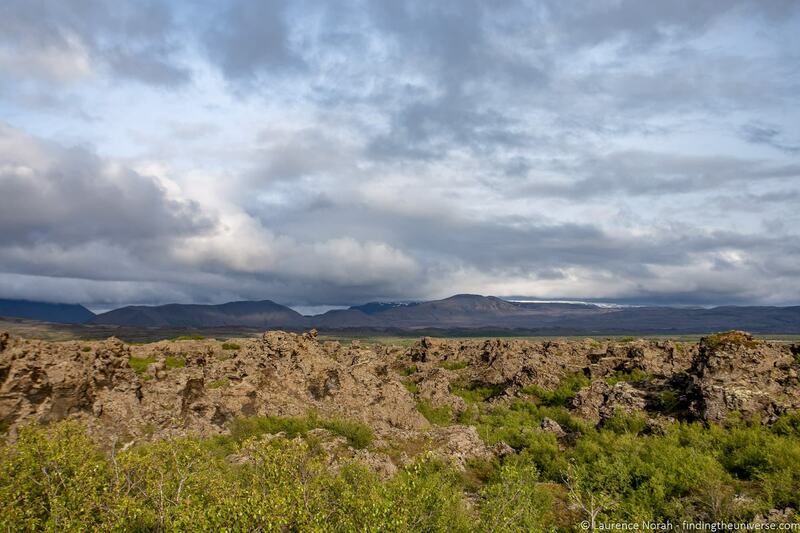 Dimmuborgir is open to the public, and free to visit. There are a number of hiking trails throughout the area of varying lengths, and a number of interesting rock formations to see. There’s also an on-site cafe and toilets (for which there is a fee) by the entrance. In the opening scenes of season 3 of Game of Thrones, Sam Tarly can be found battling his way through what appears to be a thick blizzard. In reality, the dense “snow” that we see in the shot is actually steam, bubbling up from the geothermal vents at Hverir, near Lake Mývatn. 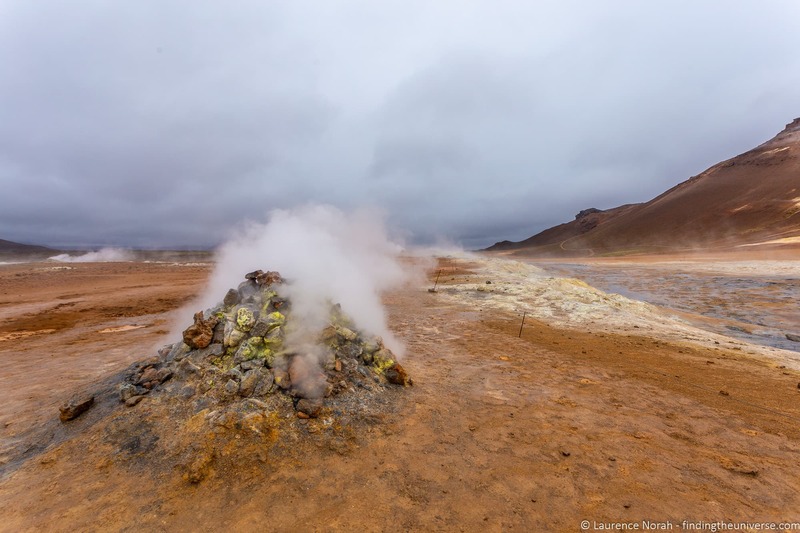 These are easy to visit, as there’s a parking area right here, and you too can stand in clouds of steam from a geothermal vent (just don’t get too close to the vent itself, steam tends to be hot!) and pretend you are trudging bravely through a visit. Just be aware that it smells somewhat sulfurous! 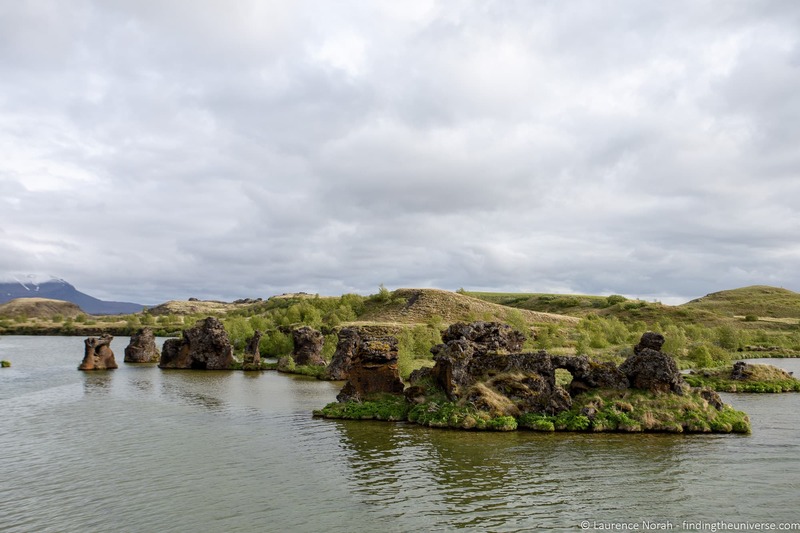 This rocky area of lava outcrops on the edge of Lake Myvatn is a very pretty place for a walk, with many interesting lava formations to enjoy. This location was used in Season 3, Episode 5, as one of the filming locations for Mance Rayder’s wildling camp. Specifically, this location was used for the wide shots of scenery before Jon Snow has a confrontation with Orell over the defensive capabilities of the Night’s Watch. You can clearly see the lava structures in the opening shots of the scene. This scene and the scene later on in the episode, where Ygritte steals Jon Snow’s sword, are shot both at Höfði and at Dimmuborgir. The wide shots with the lake in the background are the Höfði scenes, whilst most of the close up shots are at Dimmuborgir. The magic of television! Höfði is easy to get to, there’s a parking area just off the road and a number of marked trails to follow. It’s around a five to ten minute walk from the parking area to the viewing location for the lava structures. Kirkjufell is one of the most recognisable landmarks in Iceland, but it took a long time before it finally made a proper appearance in the show. We had glimpses of it throughout Season 6, but it was only in episode six of Season 7 that it was given a starring role. In this episode, Jon Snow and his band of wight hunters are searching for a mountain shaped like an arrowhead, following the vision of The Hound. Obviously, Kirkjufell fits this description perfectly. Personally, I think it was a hat-tip from the show producers to use such a recognisably Icelandic landmark, as a thank you to Iceland for providing so much beauty. Kirkjufell is found on the Snaefellsnes peninsula, and is easy to get to. It’s most commonly seen from Kirkjufellsfoss, a small waterfall which provides a beautiful foreground against the dramatic mountain background. There’s parking on-site, and it’s about a five to ten minute walk up to the viewpoint from the car park. To help visualise these locations, we added them all into a map, which you can see here on Google Maps. Now that I’ve told you where all the Game of Thrones filming locations are, the chances are you want to know how to get to them! Many of the locations we’ve named are easy to access and see on a self-drive tour of Iceland. 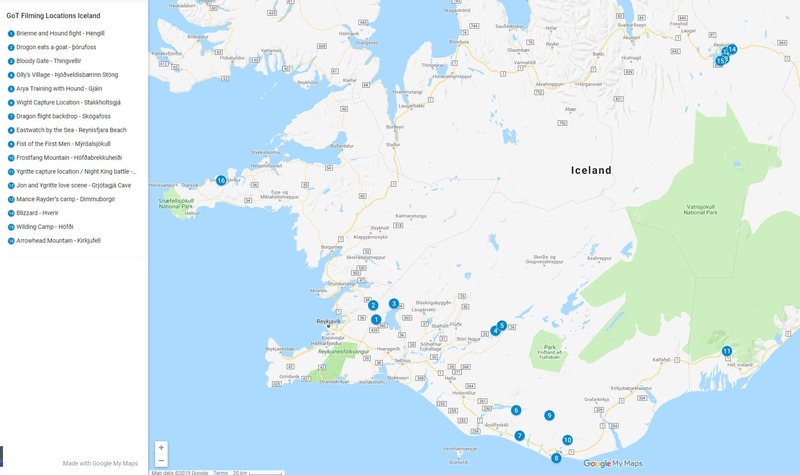 As you will notice though, they are spread out across the country, with some on the south coast, and then a variety of filming locations near Lake Myvatn. So you have a couple of options. You could take a road trip of the Iceland Ring Road like this, which will take you past most of the locations. Or, you could decide which filming locations most interest you, and explore those areas more thoroughly. For southern Iceland, we have a five day itinerary and a seven day itinerary you can follow. We have a guide to planning a trip in Iceland which will help you decide how to get around, with options from public transport through to driving yourself or taking a tour. 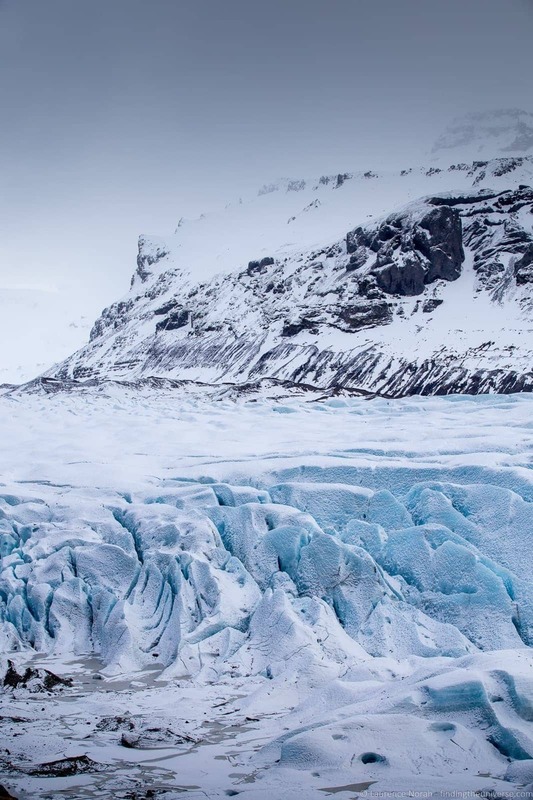 One thing to bear in mind, especially for the scenes filmed “beyond the wall”, was that these were shot in the depths of winter in Iceland, when travel becomes much more difficult. Driving the Ring Road is possible at this time of year (see our guide to driving in Iceland in winter), but we generally don’t advise it. 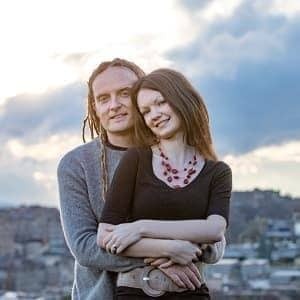 Instead, you might want to base yourself out of Reykjavik or Myvatn, and explore either the south coast or Myvatn areas. In our opinion, the best way to visit the Game of Thrones filming locations in Iceland is to take a specific tour of the locations. These include many of the key filming locations, and they often have printouts or video clips of the key scenes to help remind you of how the scene looked in the show. There are a variety of tours in Iceland, some day trips and some multi-day tours. We’ve picked some of the highlights to help you choose, as well as some tours which include activities that let you visit otherwise inaccessible locations (like glaciers!). A full day tour from Reykjavik of many of the southern Iceland filming locations, including Þingvellir National Park and the settlement era Viking lodge site. A day tour of the Lake Myvatn filming locations, which includes Dimmuborgir, Hverir and Grjótagjá. Of course, there are more options, but we think this is a good start as an idea of what is available. Hopefully this post has got you excited about finding Game of Thrones in Iceland! 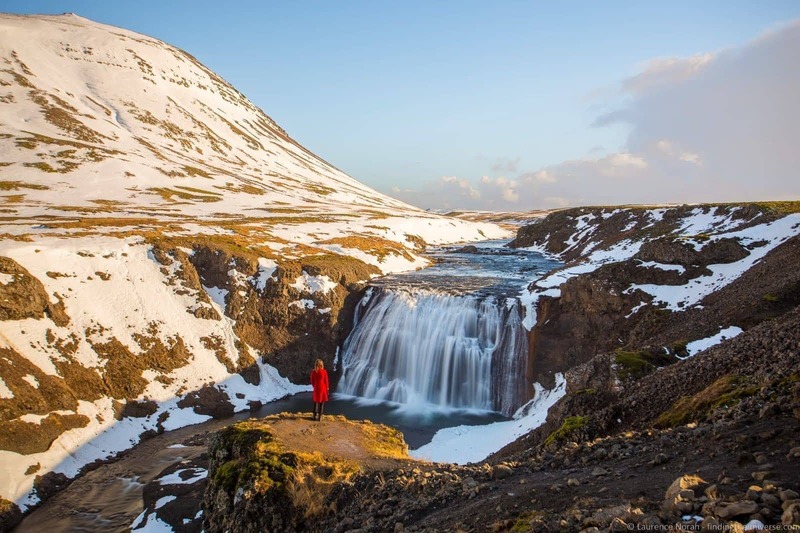 As we’re sure you’re aware though, there’s a lot more to Iceland than Game of Thrones filming locations, and we’ve put together a number of guides to help you plan the perfect Iceland trip, whatever your interests may be! Here are a few of guide to Iceland to get you started, you can also take a look at all our Iceland content on Finding the Universe here, and on Independent Travel Cats here. 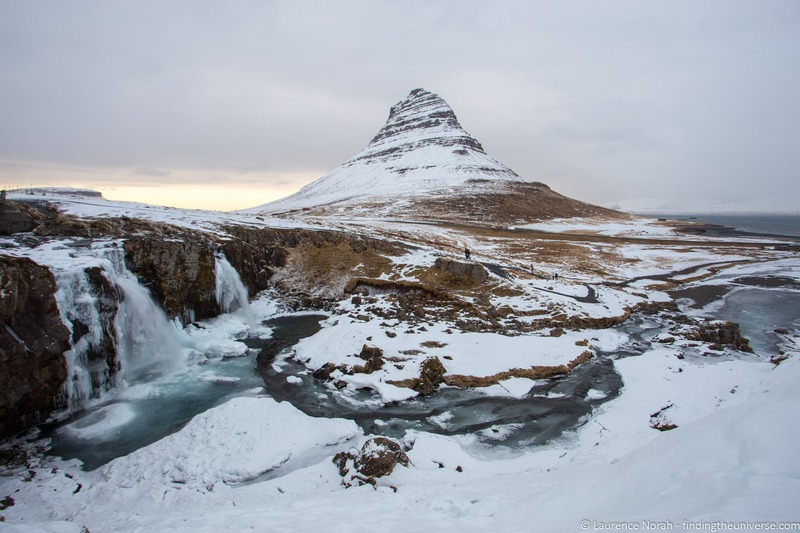 If you’re visiting Iceland in winter, you’ll need to prepare and pack appropriately. We have a guide to what to pack for Iceland in winter to help you out. We also have a guide to the top winter activities in Iceland. We’ve also put together guides to some of Iceland’s most popular sights and attractions, including our favourite waterfalls in Iceland, a guide to seeing puffins in Iceland, a guide to finding the Iceland Plane Crash, and our favourite photography spots in Iceland! And that’s it! Now you should be ready to head to Iceland and find all the Game of Thrones filming locations we’ve covered. As always, we’re happy to hear your feedback and questions about this post, or in general about your trip to Iceland – just pop them in the comments below and we’ll get back to you!